Naqshbandiyah which has been the most influential and wide-spread order in Sufism’s (Tasawwuf) long history is named after Khwaja Baha al-Din Muhammad Naqshband. Naqshbandiyah’s spiritual leadership rendered a significant transition from Shah “Abd Allah” Dehlawi to one of his splendid foreign disciples, Shaykh Mawlana Khalid Kurdi, and subsequently to the great Shaykh Othman Serajaddin and later to his son Shaykh Omar Zia’addin, in Kurdistan of Iraq. It was Shaykh Omar Zia’addin who founded the famous Madrassa (school) of Biara. This in turn transformed Biara,Kurdistan,Iraq into a gigantic fountain of spiritual wisdom flowing to the neighboring regions. Since then, three generations of descendants with their utmost discipline have granted miraculous growth within Kurdistan and beyond, leaving no corner of the Muslim World untouched. Millions of faithful followers have found spiritual comfort in this order not for the inducement to perform Karamat, but for the elation of the soul through the adherence to the true essence of teachings of Quran and close following of true Islamic principles (Sharia and Sunnah). The success and world-wide endorsement of the Naqshbandi order were engendered by their revival of the essence of Islam with an emphasis on the rules of Sharia. 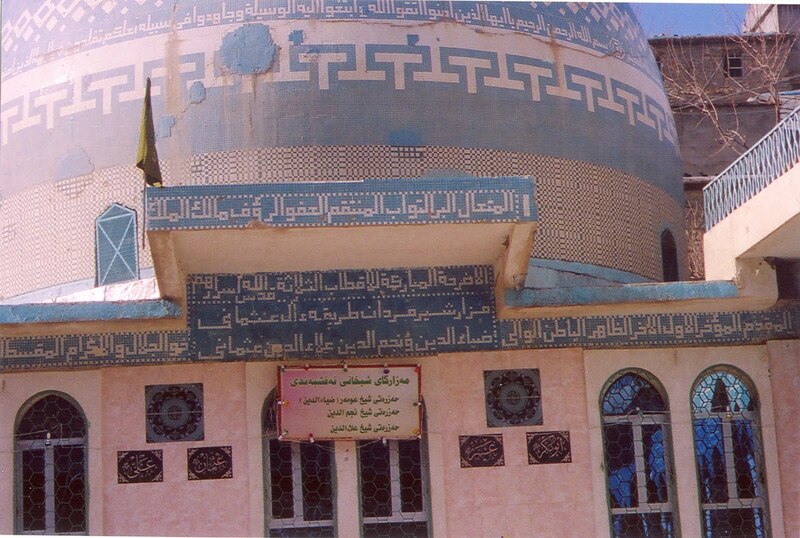 Shaykh Muhammad Masum, the grandson of Shaykh Omar Zia’addin and the last of this spiritual lineage, was born in Biara. He studied the Islamic sciences under the supervision of the most distinguished scholars of his time. Upon the completion of his studies, he was granted a “Certificate of Muddarres of Islamic Sciences” in 1942. Shaykh Masum Naqshbandi left this world a short time ago at the age of ninety two, leaving his loved ones and his followers with a vacant seat that cannot be filled. He was living in Iran, in the small town of Mahabad in the western part of the country. He was not a politician but a spiritual figure, as his forefathers were, and he trod in their path faithfully. In 1991, Shaykh Masum migrated to the United States where as an esteemed spiritual guide he continued to inspire, educate, and inform people about the universal message of Islam. Advanced in age, he continued in the path of his saintly life, very frustrated by what his country, Kurdistan, and his people had become.